Are you preparing for the holy season of Lent? 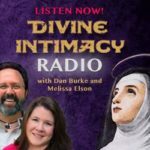 If not, these three episodes of Divine Intimacy Radio and Podcast are a series of shows (Preparing for Lent with Divine Intimacy Radio) with Dan Burke and Melissa Elson which will draw your heart to an experience of Lent that will deepen and strengthen your faith and will conduct you more fully to union with God. Often we find ourselves at the doorway of this important and serious 40 day liturgical season totally unprepared to properly orient our hearts to God as He desires. 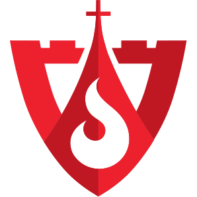 These shows will provide you with a practical and in-depth treatment of the proper spiritual disposition for the Lenten season, an understanding of mortification or self-denial, the three elements of Lenten participation, and much, much more. In the show links below, you will be able to find links to each post which contain show notes and additional resources. If you have questions about the above topics or questions for future shows, you can send an e-mail to Questions@myavila.com or call us at 818-646-7729. — Please leave your name, location, and question. You are our show and we look forward to hearing from you.